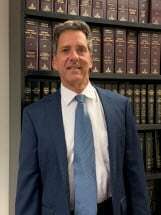 Mitchell P. Sandler has practiced in the areas of estate planning and estate administration, corporate law and real estate law for the past 23 years. Mitch worked as a Certified Public Accountant for four years after graduating from SUNY Albany. He graduated from Hofstra Law School as the number one student in his graduating class in the area of Wills, Trusts and Estates. After graduation, Mitch worked at two New York City law firms practicing in the areas of Wills, Trusts and Estates, Corporate and Real Estate law. After developing and maintaining several close relationships with experienced accountants, Mitch relocated to Long Island to practice in a small firm environment and to develop long-term relationships with his clients. In 1995, Mitch opened his law office and has successfully built his practice by providing excellent service which has resulted in a stream of continuous referrals from highly satisfied clients.